Sirio Aliberti, a company in the Della Toffola Group, designs and manufactures highly-reliable pressure tanks to customer’s order for use in the winemaking and agro-food sectors; it was the first Italian company to produce a pressure tank, already in 1946. 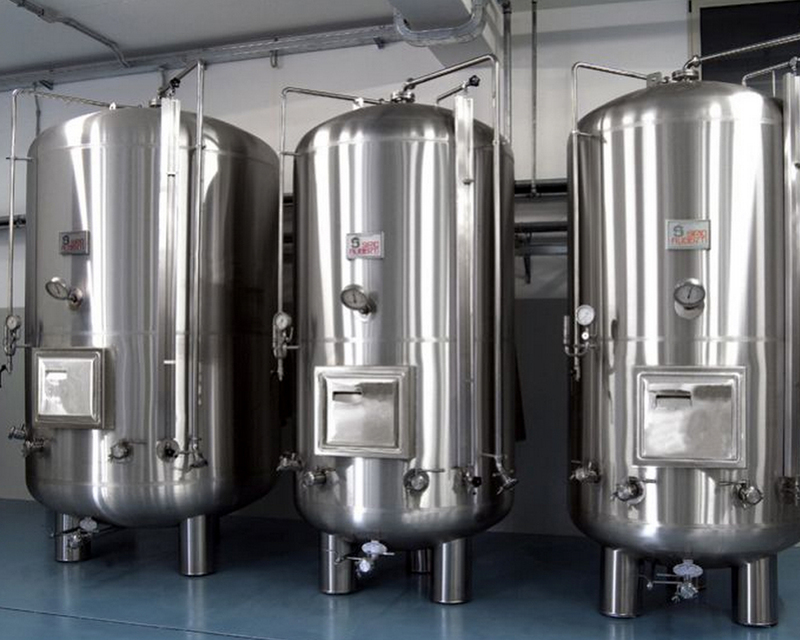 These pressure tanks are made of stainless steel (AISI 304, 316, 304LN, 316LN) or carbon steel, all with a cavity wall where glycol is circulated. The heat exchange takes place in this cavity thanks to a forced circulation generated by spiral guides. The cavity is oversized to ensure that cold and heat can propogate very rapidly all over the tank’s surface due to the thermal wheel effect produced, which maintains the temperature for a long time, often making it unnecessary to use recirciulating devices and therefore saving energy. 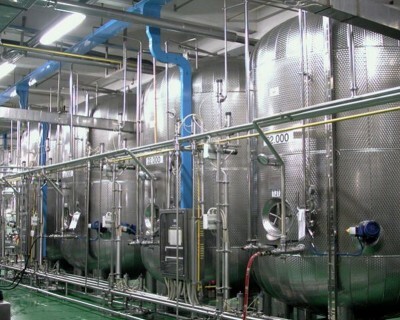 All models are test-approved and certified at every stage of production by a notified body specifically qualified to certify pressure equipment: the materials are tested, the submerged-arc weldings are X-rayed, and hydraulic pressure tests are routinely performed to obtain test approval in accordance with the current severe standards relating to this sector. 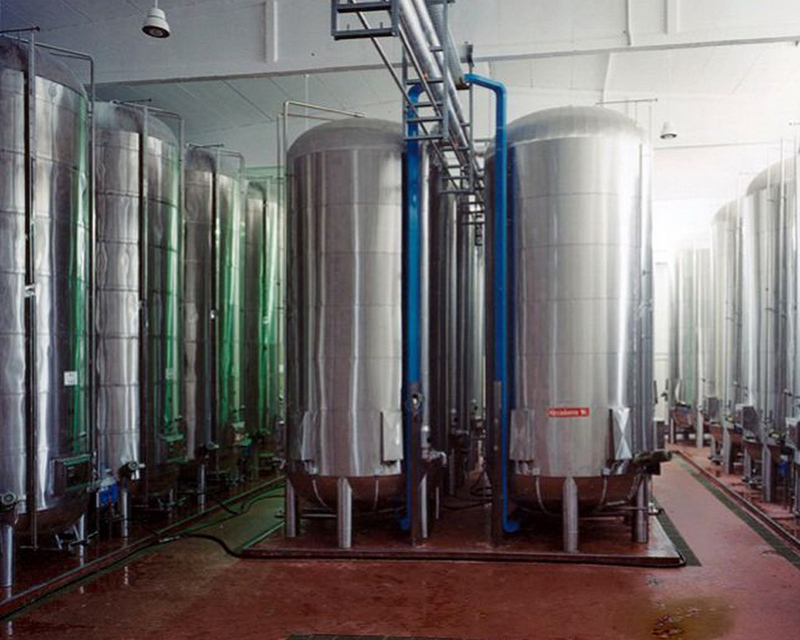 On request, the pressure tanks can also be equipped with: a washing system, a fixed or removable agitator, a porous candle filter and a stainless steel insulated double door. – Stainless steel pressure tanks: made of AISI 304 stainless steel (or AISI 316 on request) with a 2B or studded steel outer finish and a 2B inner finish (or with a reflecting steel finish on request). 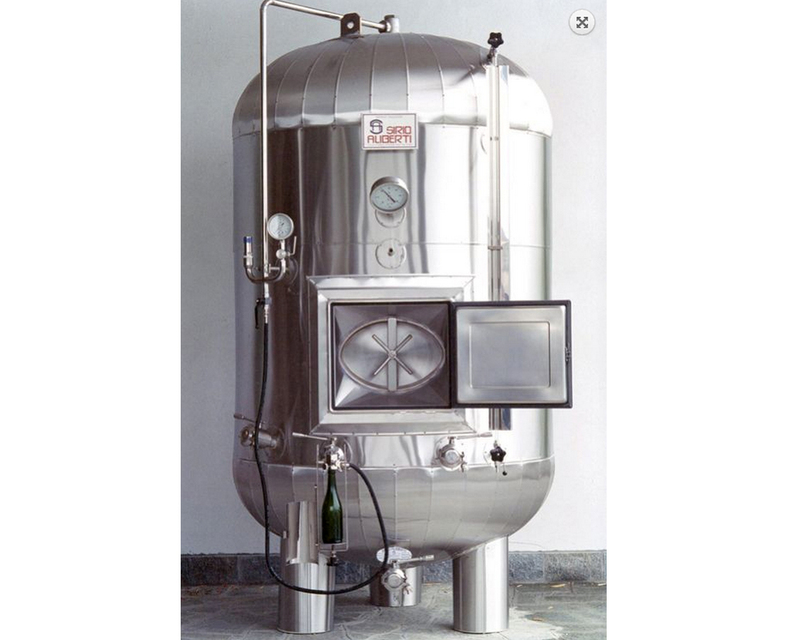 – Carbon steel pressure tanks: sand-blasted on the inside to grade SA3 and cold- or oven-glazed using suitable odourless products certified in accordance with the Italian Ministerial Decree D.M. 21.3.73 G.U. 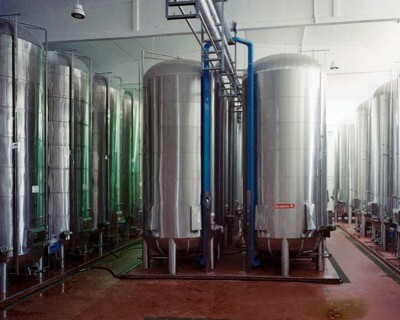 n.140/73. 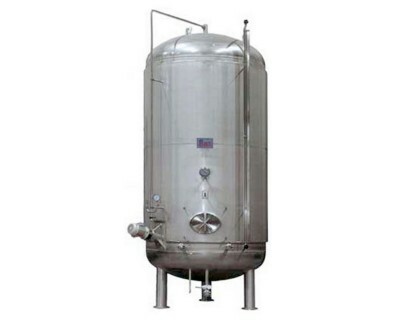 – The pressure tanks can be insulated with polyurethane and coated with riveted or welded stainless steel sheet.